Data Science is in a golden age. The mathematical foundations of Data Science, known for many years, are now seeing broad applicability due to engineering advances in cloud and big data computing and due to the explosive availability of data about nearly every aspect of human activity coming from mobile devices, remote sensing and the Internet of Things. Nearly all of this data has components of location and time leading to stunning advances in geospatial data science. Development of intelligent systems using knowledge models leading to insights and understanding have the potential to significantly transform geospatial data sciences. To achieve the fullest extent of their potential, these innovations require establishment of open consensus standards. This talk will review recent developments in innovations, standards, and applications of geospatial data science and engineering. 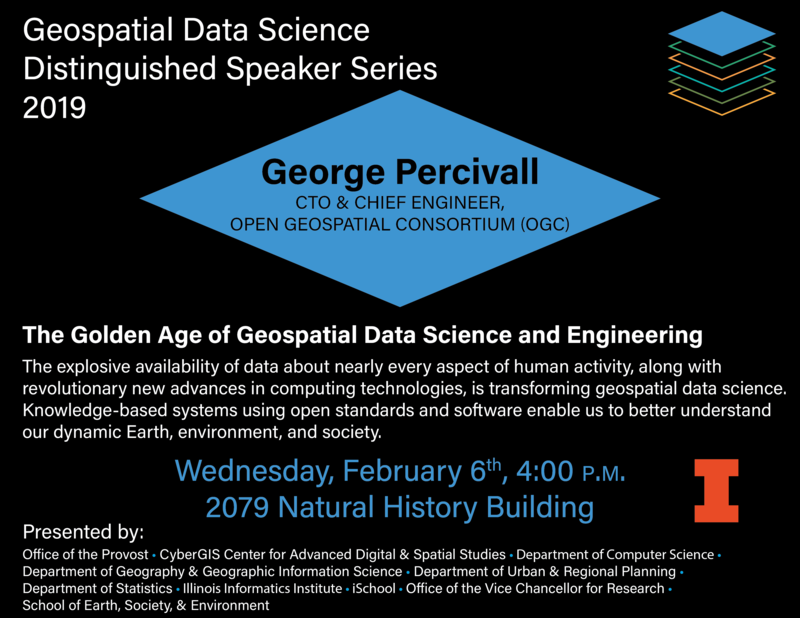 George Percivall currently serves as Chief Technology Officer and Chief Engineer of the Open Geospatial Consortium. His past experience includes leadership on engineering programs for weather satellites, electric vehicles, and geospatial information systems with Hughes Aircraft, General Motors and NASA. With time spent on PLATO terminals, he received an MS in Electrical Engineering and BS in Engineering Physics from the University of Illinois at Urbana–Champaign.